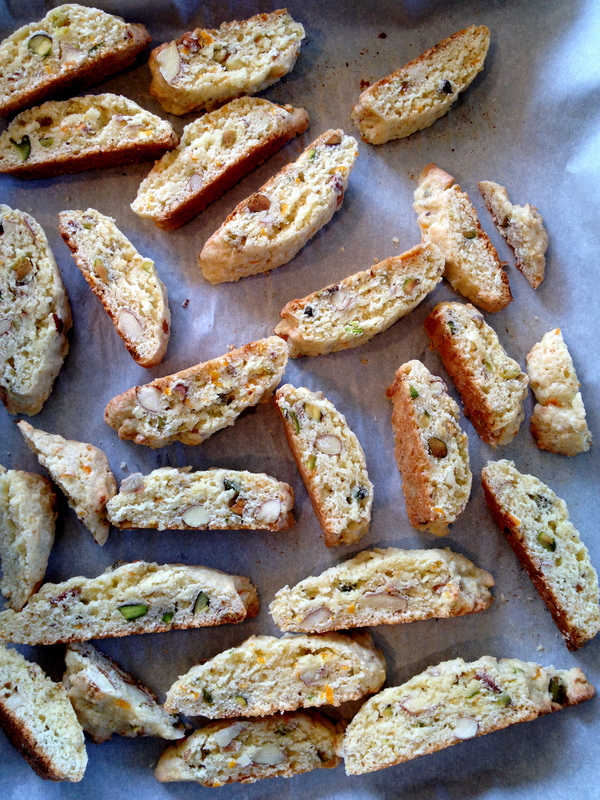 These colorful biscotti smell as good as they taste. The fresh orange fragrance, bright green specks, and nutty almond flavor are guaranteed to appeal to all senses. 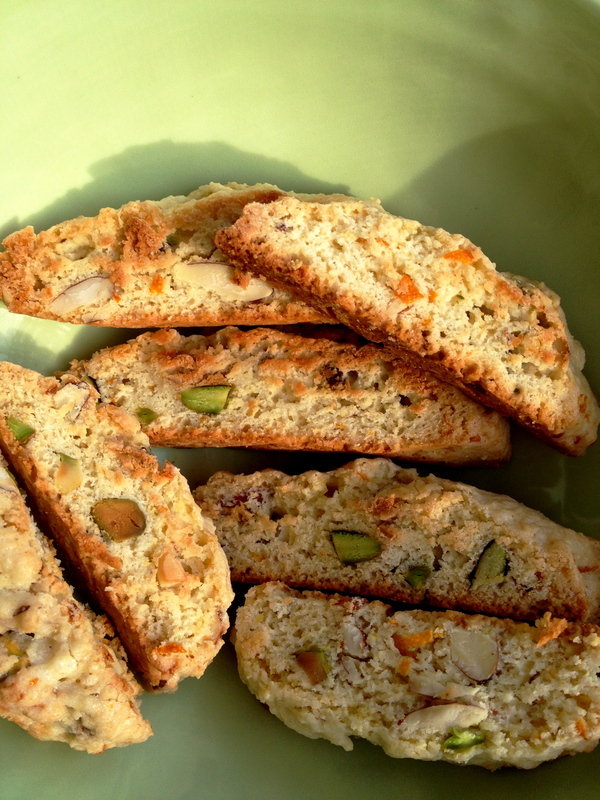 Whether your friends are looking to satisfy a savory craving, a crunchy craving, or a sweet craving, there is something for everyone in these divine biscotti. Pre-heat the oven to 350 degrees F. Line two large baking sheets with parchment paper. In a large bowl, whisk the flour with the sugar, baking powder, and salt. 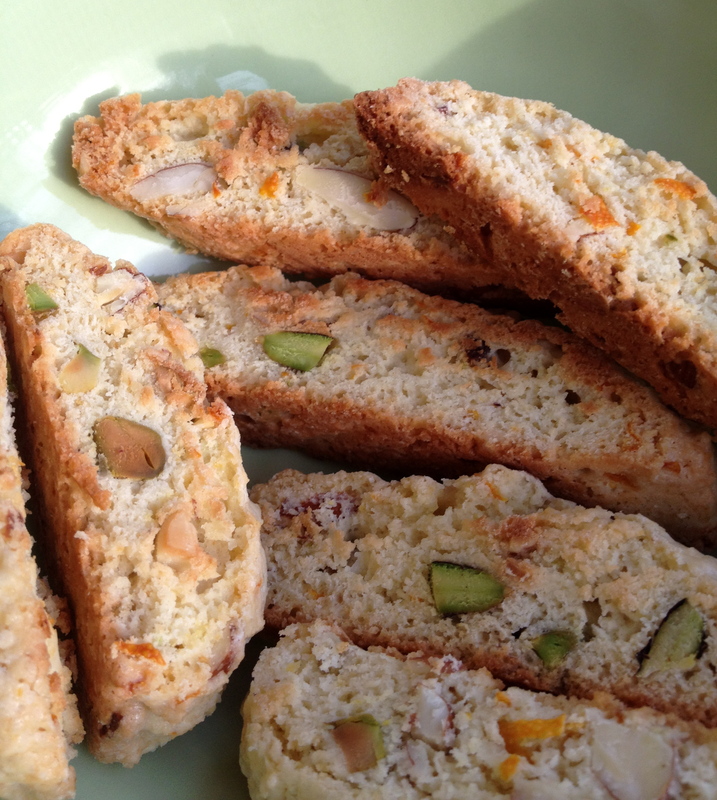 Place a pinch of the flour mixture in a small bowl, and mix with the orange zest to keep it from clumping. Now stir the coated orange zest into the large bowl. In a small bowl, whisk the eggs with the olive oil and orange juice. Pour the wet mixture into the center of the flour mixture and stir with a wooden spoon or rubber spatula until combined. If it feels dry, add another egg and a tablespoon of water. The dough should be very, very sticky. Place the dough on a heavily floured work surface and portion into six equal pieces. Roll each into a log about 8-12 inches long. The dough will be very sticky, so continue to dust with flour. Set the logs about 3 inches apart on the baking sheets, and then use a flat spatula to flatten them so that they are about 1 1/2 – 2 inches wide. Bake until the logs are golden and firm, about 25 minutes. Allow to cool for 30 minutes, leaving the oven on. Once cool, transfer the logs to a cutting board and use a serrated knife to slice on a diagonal into 1/2 inch cookies. 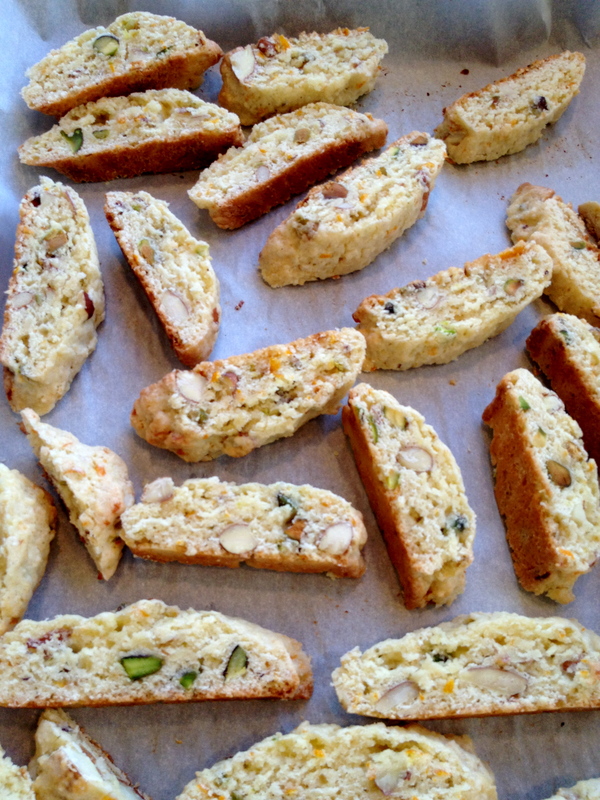 Carefully place the cookies back onto the baking sheets on their sides, and bake for about 7 more minutes. 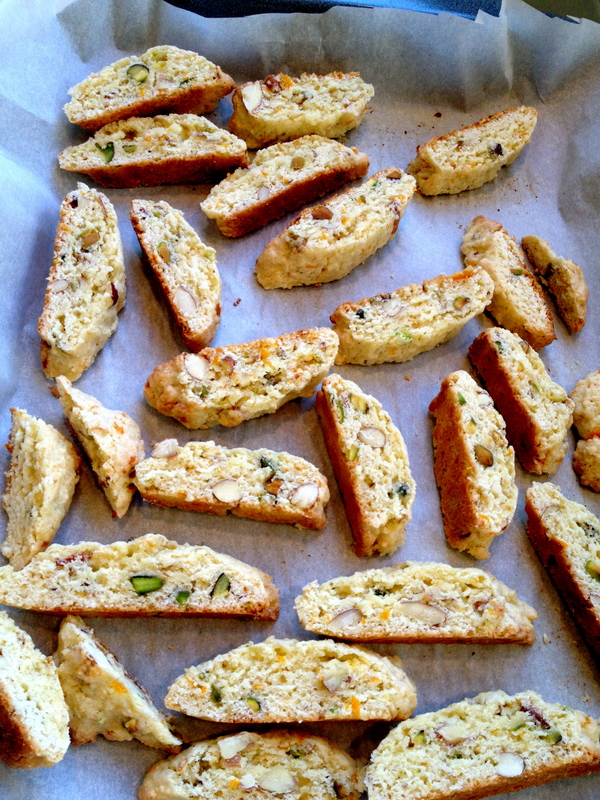 Turn each cookie over onto its other side and bake for another 8-10 minutes, until the biscotti are golden. Let them cool on the sheets for about 5 minutes before transferring to a cooling rack. This must be truly divine! If only the dough didn’t have to be sooo sticky 😀 I prefer a nice smooth elastic spongeball.But well, everything has a price!